← Do these scare anyone besides me? This entry was posted in Art, Quiet Insanity, want, Work and tagged Adventure, anxiety, danger, darkness, dealing with depression, goats, happy, obscene, Recreation, relationships. Bookmark the permalink. Is that a touch of happiness I sense? Is that a touch of happiness I sense? What is stronger,love or hate? Neither is stronger they are both rolling around a deliciously painful counterpoint to each other. 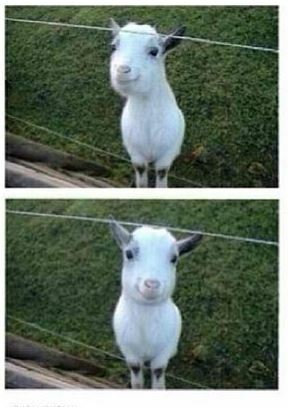 well; now i’ve got your goat….